Another adorable Spot book has been released, and although this one does not have a lift-the-flap feature, it does have wheels that spin around on both the front and back cover, which is pretty cool! 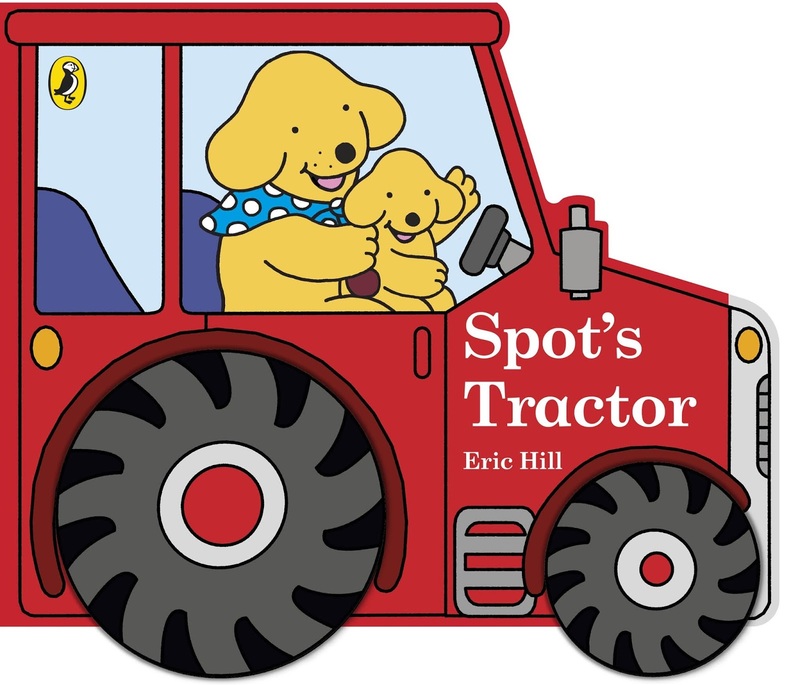 In Spot's Tractor, Spot is helping out on the farm, and he has so many jobs to do. Feeding the hungry pigs, collecting eggs, and even milking the cows! But will Spot be able to help a little lost lamb to find his mum?